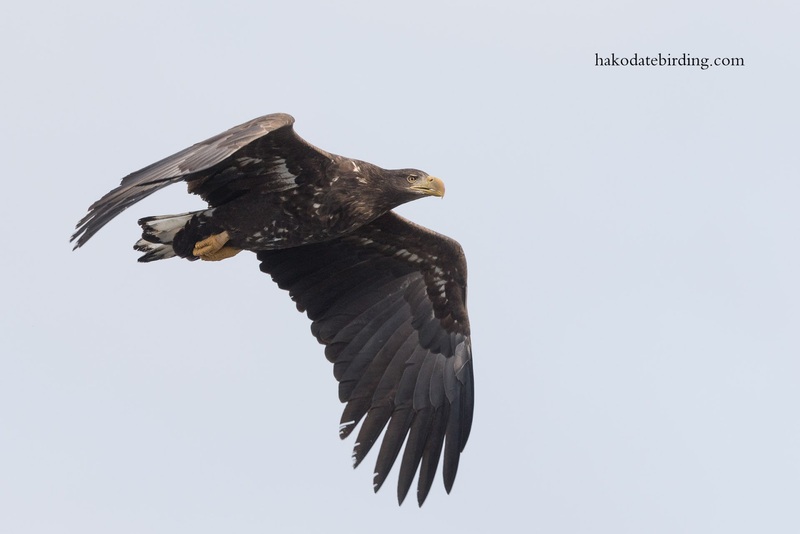 Hakodate Birding: Bridge Eagles (again). 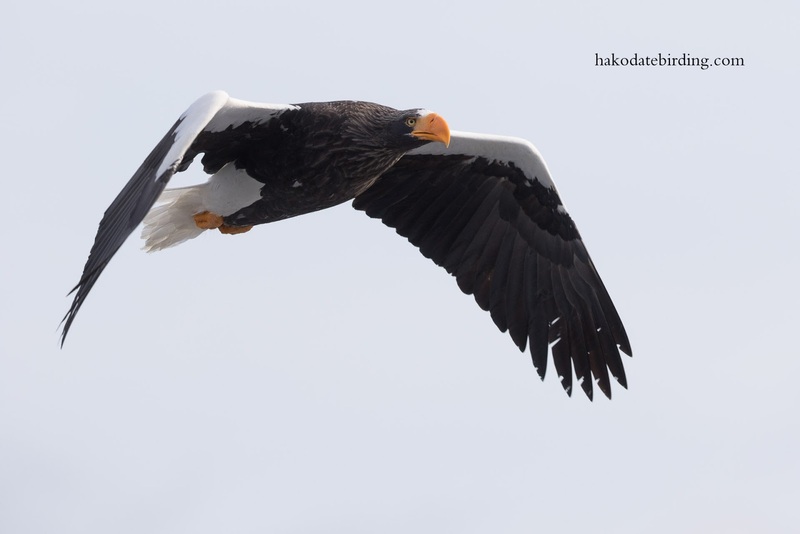 So here they are, some eagle shots taken from the bridge on Route 5 in Yakumo. A nice introduction of the local wildlife to my visiting parents. So what happened to my original post? Some people commented on it and the photos are still on my google+ site....................so it must have existed at some point. Did I delete it by accident? Did someone else delete it? God knows. 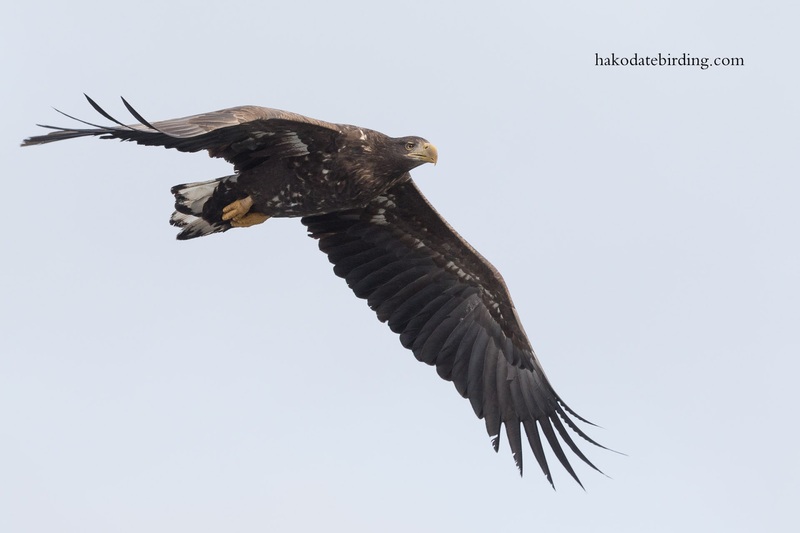 Wonderful to see the flight shots of the Eagles. 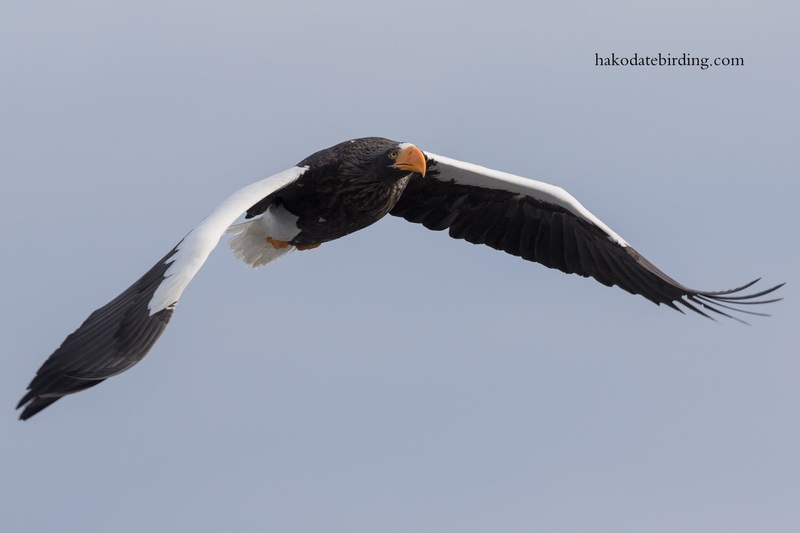 You are lucky to see them so often as they are special Eagles! What a truly fabulous bird.